Yesterday was my first day in my new job. It went well and I will admit that I enjoyed it. However at the same time I absolutely hated being away from baby boy. It was as if I was being pulled in opposite directions. I am only working part time so it is not as if I have to leave him everyday but just knowing that I had to work and couldn’t just go and get him if I wanted to was excruciating! I dropped baby boy off with my mum before work and was all ready for a tearful goodbye (baby boy not me). The reality was the opposite! Baby boy happily sat and started to play with my niece and I made a hasty retreat to go and sob in the car. As I said though, I actually enjoyed the time I spent at work. It was nice to interact with adults and use my brain to learn something more complex than a nursery rhyme. Now please don’t think that I am dismissing nursery rhymes because I can sing ‘the grand old duke of York’ with the best of them and my rendition of ‘Mary Mary’ is top notch! It was just nice to learn a new skill that didn’t require singing. Today is a day off and even though I have a lot of housework to get done I am trying to spend as much time with baby boy as possible. In fact I might be going overboard as when I tried to play row your boat for the tenth time he launched a plastic stacking cup at my head! I’m back at work tomorrow and I’m sure that it will be just as hard. I’m hoping that this feeling will pass with time though because it will be difficult to do my job well if I am constantly thinking about baby boy. How did you feel about going back to work! Cute pic! I’m still prego but I am dreading having to leave him at work already! I didn’t think that the time would go so quickly! I thought it would be ages before I had to work but it crept up on me. Try to make the most of your time off. It just flies by! 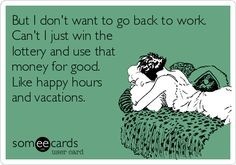 I didn’t think it would as hard as it was to go back to work. I like that I am only part time but really we need me to have more hours. Finding a job is tricky though. It has been hard for me but it was slightly easier by the end of the week. I really wish that I could afford not to work but I can’t so I just have to push through and enjoy the time when I am at home. Try not to think about going back to work when you have your little one. Just enjoy each day!